Physical CAN Layer Test equipment. CAN-Bus Tester (CBT2) The CAN-Bus Tester 2 constitutes a universal measuring instrument for the commissioning, analysis, monitoring, troubleshooting and service/maintenance of CAN bus plant. 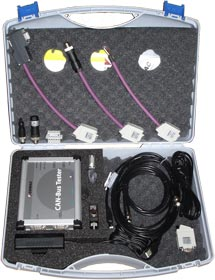 CANobserver remote diagnostic system. 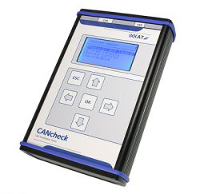 The CANobserver® is a diagnosis device which is used for physical and logical long-term monitoring of CAN bus systems and has been designed as a stationary supplement to the CAN-Bus Tester 2. IXXAT: CANcheck : ; Installation tester for CAN and CANopen systems. Cable tests, signal tests, termination, bus length, etc.